This past Spring as the waves mellowed out a bit on the North Shore, my favorite surfboard became my 5’6” Lost Quad called “The Shark”. I wrote a post about this board before, but I don’t think I had used the board enough at that point to say that I absolutely love it. In the right conditions this Lost surfboard works amazing. I moved back to California for the summer about two weeks ago and left all of my boards in Hawaii because of the steep airline fees charged for traveling with surfboards. The first thing I did after getting here was go look for a decent used surfboard to use over the summer. I checked a bunch of stores, and then made my way over to the Catalyst Shop in San Clemente, the main distributor of Lost Surfboards in the region. They had a sale rack of new boards and the board in front was the exact same 5’6” “Shark” that I own out in Hawaii. I bought it without even thinking and took it straight to Trestles, where I have now given it a good testing everyday for the past two weeks. This Lost surfboard is actually slightly different than the one I wrote about before, because this is the model that is available to the public. The one I have in Hawaii was custom shaped for Lost team rider Mason Ho. There are only slight differences in the board, and for the most part I feel like it works the same. One thing I noticed right away is that “The Shark” is meant to be surfed in places like California. 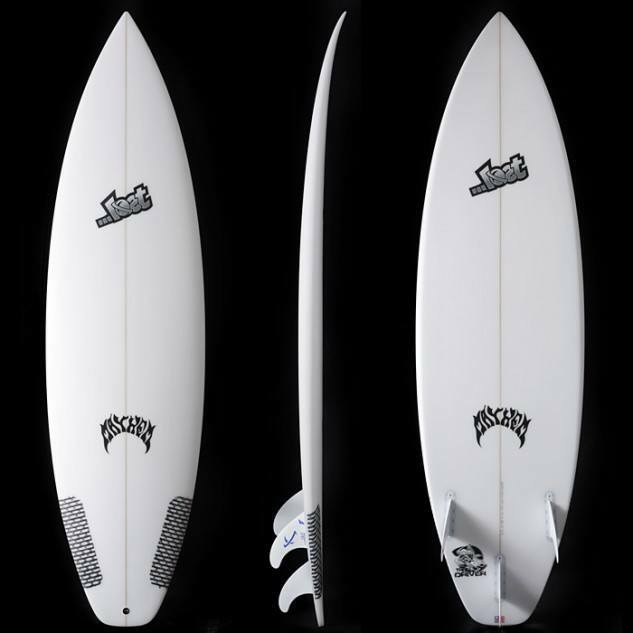 This board is super fast and feels great in California waves like Lower Trestles, T-Street, and Salt Creek. It’s been a perfect time for board testing down here as we have had a solid swell for the past two weeks. In Hawaii I sometimes got a little out of control on “The Shark”, occasionally sliding out on bottom turns or cutbacks if the wave was too powerful. In California I have not had any problems like that. A solid swell here provides the perfect style wave needed to enjoy riding this Lost surfboard.